I am not American, but I understand Thanksgiving Day is huge to their sense of nationhood and identity. It’s also big in the way it brings everyone back to the coop, kinda like Chinese New Year but with turkey and more gratitude. The church I worship with regularly in spirit and in person have, in more recent years, held a Thanksgiving get-together to roughly coincide with Thanksgiving Day in the States. It’s a lovely opportunity to get together, break bread, and collectively remember just how insanely rich we are in Christ. I missed this year’s – which was held this evening at the building we meet at regularly. Even then, I had a lovely friend pop by with a baby bouncer, bassinet linen, more boy clothes and a play mat. Yet another person to be thankful for. 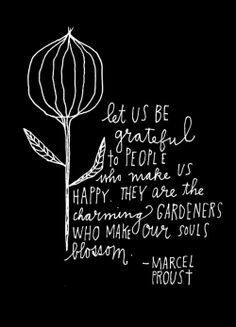 It would be difficult to name all the people in my life who make me happy – directly or indirectly – but I thought I’d at least name some of them in this post, seeing how it’s Thanksgiving and all. Who, after almost ten years of wedded bliss, still comes home and wants to hear about my day first before he tells me about his. Who still makes me laugh, who opens my eyes to the world around me, who is the fount of knowledge on current affairs, history, and F1 trivia. Who obliterates his competition some nights on BF4, but wouldn’t hurt a fly in real life unless it really bothered me. Whose logical head cools my own and teaches me temperance and fairness. Who showered me with more kisses this month than the rest of her life added together, thus far. Who kisses her baby brother goodnight, and lately thinks stickers on her face are a great way to lighten the mood around our house. Who is turning out to be gentle and kind, and unaffected by the compliments grown-ups continually pay her. Who tucks me into bed when I sorely need a nap. Who has cooked all of this week, helped with the groceries, washed up, and generally taken over Thinking duties so I can waddle around the house in a semi-comatose state and then take long siestas in the afternoons. Who came with an arsenal of craft activities and stickers for the granddaughter, who absolutely adores craft activities and stickers. Who does all this, even though there is a good chance she’s going to miss out on Boy Blob’s Birth because that boy sure is taking his sweet time. Who came, saw our dead hedges (front and back), and proceeded to tidy up. Tony and I have little skill and zero interest in gardening. Seriously, if we could get away with tastefully astro-turfing our front and back yard in the new place, I think we just might. It’s wonderful to be related to a retired horticulturalist whose passions coincided with his education and lifelong career. And who still had enough energy left over to meet and greet Every Single Toy his excited granddaughter thought to trot out. Still messaging and emailing and finding out how we’re doing, still interested and excited for us all. I’m sorry I haven’t gotten back to all your emails and texts, but I’m so appreciative of your concern and willingness to help with the odd hand-me-downs and last-minute babysitting. Who still love me, even though I am grown and far away and don’t come back very often. You lurk on Facebook, and then completely surprise me with how much you’ve kept abreast with our family shenanigans whenever we visit. I love that you are strong and hardworking for Christ, and I am so proud of you all always. I lurk on Facebook too, and I love watching your families grow even as it saddens me that we cannot spend our everydays together. Most of whom are coming to Canberra this weekend! Very, very excited and slightly frustrated that I do not have more energy. Please remember that I only have one refrigerator, and that it’s a baby-sized one compared to yours. So don’t buy up the supermarket, m’kay? Also, my pantry is already busting at the seams because I am still Singaporean and am incapable of keeping a minimalist kitchen inventory. Love you all very much, and Can Not Wait. Who blog and message and email and chat in bits and bobs, in spates and seasons. Who remain friends, whose hearts remain open and willing to share and partake. Friends where geography is no measure of distance, really. Just this last week, I’ve so enjoyed connecting with you, Gail, Sarah, and Kenneth. And in the last year, I’ve been so delighted to reconnect with others like Evonne and Pei Ching. And so many, many, many more. I know that as we get older, our circles are supposed to shrink and there are some days, when I feel lonely (for No Good Reason, really), that I feel I am not immune. But no, I am richly blessed and surrounded by kind, decent, intelligent, whimsical, funny folk.